We offer lease purchase on our containers, normally over a five year period after which you own the container outright for a single final payment. We can vary the period and the buyout price to best suit your cashflow. We aim to be highly flexible in our purchase offers to you; so do not hesitate to discuss your specific requirements with us. 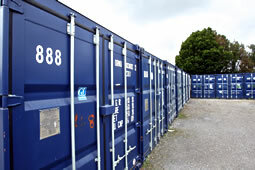 Purchase options Find out how to rent, lease or buy our storage containers. Delivery to you...Our nationwide depots and speedy delivery times explained. Get a quote now!For a quote just ring us on 020 7924 7888 or request a quote online. Any questions?Just visit our F.A.Q page for more answers to your questions.